We have been selling pez for almost 20 years. We try to keep on top of all of the current foreign releases and hard to find limited releases from all over the world. Of course that is not easy, as some are rare and unavailable, but we try to do the best and offer excellent prices and quality! We also have over 30,000 positive feedbacks on Ebay. Check the ebay name "annlong" and find some of the auctions that we list. When you place an order on our site, we do not see your credit card or paypal account number. All orders are in U.S. funds. 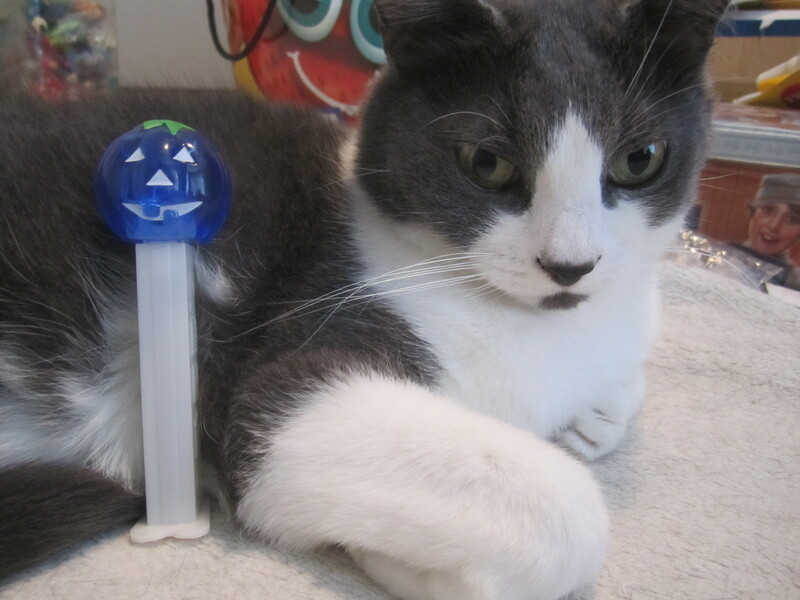 Our kitty is used to hanging out with pez!